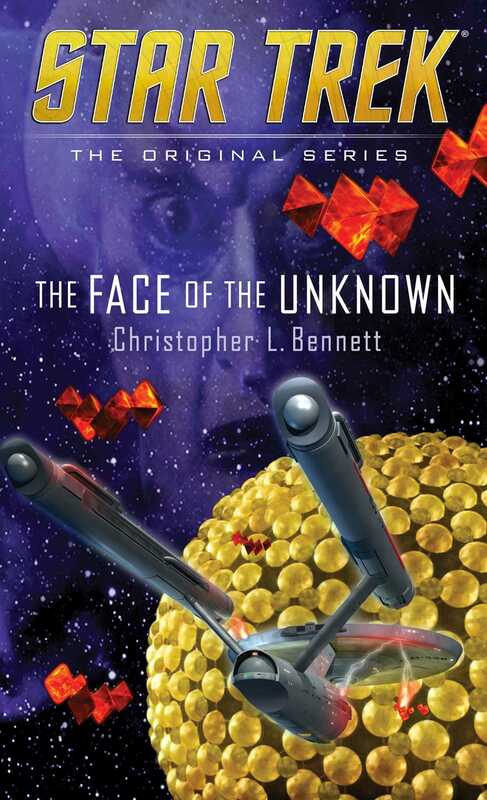 Continuing the milestone 50th anniversary celebration of Star Trek—a brand-new novel of The Original Series featuring James T. Kirk, Spock, and the crew of the USS Enterprise! Investigating a series of violent raids by a mysterious predatory species, Captain James T. Kirk discovers that these events share a startling connection with the First Federation, a friendly but secretive civilization contacted early in the USS Enterprise’s five-year mission. Traveling to the First Federation in search of answers, the Enterprise suddenly comes under attack from these strange marauders. Seeking refuge, the starship finds its way to the true home of the First Federation, an astonishing collection of worlds hidden from the galaxy beyond. The inhabitants of this isolated realm are wary of outsiders, and some accuse Kirk and his crew for bringing the wrath of their ancient enemy down upon them. When an attempt to stave off disaster goes tragically wrong, Kirk is held fully accountable, and Commander Spock learns there are even deeper forces that threaten this civilization. If Kirk and Spock cannot convince the First Federation's leaders to overcome their fears, the resulting catastrophe could doom them all! Two days have now passed since our discovery of the Betelgeusians’ mysterious attackers and their apparent connection to the reclusive civilization calling itself the First Federation. In the interim, we have received reports of similar attacks on a Saurian transport and an Arcturian trading post, both of which were able to repel the assaults—though not without casualties in the latter case. Whoever these beings are, they seem to be targeting races capable of putting up a fight . . . and their own skill seems to be improving. As they draw nearer to Federation space, a confrontation with Starfleet increasingly appears inevitable. The First Federation clearly has knowledge of these beings, but our attempts to contact Lieutenant David Bailey, our unofficial ambassador to the First Federation, have proven unsuccessful. The Enterprise is proceeding toward the First Federation border in hopes of establishing direct contact with their representatives. In the meantime, the office of the Federation diplomatic commissioner has requested a full briefing on the matter. The briefing was at 1900 hours, late by the Enterprise’s clocks, but that allowed Kirk to assemble all the senior officers who had been present for the first encounter with Balok: himself, Spock, McCoy, Scott, Uhura, and Sulu. They met in the largest briefing room, the one with a wall screen in addition to the smaller three-sided viewer in the table, so that Commissioner Gopal could see them all at once. Damayanti Gopal was a strong-featured woman in her mid-forties, only recently promoted to diplomatic commissioner after spending two years as assistant commissioner. Kirk had briefly known her predecessor in that post, Nancy Hedford, and had found her to be a rather prickly and un­diplomatic individual, at least on the surface. So far, Gopal did not seem much different, making Kirk wonder what standards the previous commissioner had employed to select his deputies. Kirk clung to his patience. “I wanted to give him a chance to make up for that mistake. Something he was strongly motivated to do. I was that young once myself, Commissioner. I was cocky, and I made my share of mistakes.” He tried to ignore Doctor McCoy, whose expression almost audibly countered, Was? “But I learned a great deal from assignments where I spent time living among other cultures, getting to know them. They brought me valuable perspective, showed me there was always another way of looking at any problem—and at myself.” He reflected on the individuals he had befriended on those missions, leaders whose example had helped guide him in becoming a better officer and a better man—Tyree of Neural, Ren’xaan of Arkoni, King Stevvin of Shad. He had sensed a similar wisdom in Balok and had hoped the little trickster could play a similar role for David Bailey. The cube spun on the viewscreen like an angular top, flashing bright colors at the Enterprise as it blocked the starship’s path. “It’s certainly . . . festive,” was the judgment of Pavel Chekov, who was seeing this sight for the first time. “Lieutenant Uhura,” Kirk said, “transmit the recognition code to the buoy.” And let’s hope Balok was being ­honest when he gave it to us, he added to himself. Kirk glanced up at McCoy as the doctor took his wonted spot to the left of the captain’s chair. “Have you had a chance to review Bailey’s reports?” he asked softly. “You mean, did you make a mistake giving him this responsibility?” He quirked a brow. “Honestly, Jim, I’m impressed that he didn’t demand a transfer a year or two ago. It’s a thankless job, but he’s stuck with it and been as diligent as his hosts would permit.” He threw an im­patient glance at the screen. “And you know how tough it is to convince them to lower their guard,” he said more loudly, as if challenging the buoy directly. As the doctor left, Kirk reflected on how unusual it was for McCoy to make such an unforced error in his ongoing match of wits with Spock. Maybe McCoy was more on edge than he let on. Kirk felt a similar unease of his own. The encounter with Balok had been the first major contact with a new civilization in the course of the Enterprise’s current tour of exploration. Kirk and his crew had taken its positive outcome as an auspicious ­beginning for the mission. No doubt they had endured far worse consequences on many subsequent missions, but they would always have that early success to take pride in. But now their certainties about that mission were shaken, and it was less clear what they had really achieved. Kirk only hoped that whatever new answers they found would restore that certainty . . . rather than destroying it ­altogether. The Enterprise’s hails to the Fesarius evoked only a brief reply in return, consisting of little more than a set of rendezvous coordinates in a system a day’s travel from the border. As the Starfleet cruiser neared the system—a young star with a dense planetesimal disk still surrounding it—Spock’s scans detected the massive orbship keeping station with a moderate-sized asteroid, an undifferentiated mass of rock, ice, and carbonaceous minerals that could be easily broken up and harvested for materials. If the Fesarius were in the midst of a mining operation, Kirk thought, that could explain why it had not been able to come to the Enterprise. However, it soon became evident that mining was not the only thing going on. “Power readings from the Fesarius are fluctuating,” Spock reported. “It would appear to be damaged.” Indeed, as Uhura refined the magnification of the image on the main viewer, Kirk could see that for himself. The Fesarius was a massive sphere covered in a hexagonally tessellated grid of illuminated domes, reminding Kirk of a vast sequined Christmas ornament. Normally, the golden light from those domes pulsed on and off in a regular pattern like a heartbeat as the vessel’s many power reactors cycled. Now, many of the domes were dark and most of the rest were flickering and guttering. Moreover, the spherical symmetry of the craft was broken. On one side, a large hexagonal section nearly a third of the orbship’s diameter had been peeled open, exposing the vessel’s innards to space. For a moment, Kirk feared the worst, until he realized that the opening was ringed by six regularly shaped triangular flaps. The orifice must have been built into the orbship’s design, a vast hatch for the processing bays that filled much of its interior. The crew must have been in the process of breaking up the asteroid and tractoring its material inside the Fesarius. It had been the worst possible time for the orbship to come under attack. “But on which side?” Kirk mused. “Why aren’t they closing the hatch?” Chekov asked through gritted teeth. “That is a pretty successful attempt,” Chekov put in. “Hopefully we won’t need them, but good job. Kirk out.” He smiled to himself. I have the best crew any captain could ask for. As the starship curved around to the other side of the asteroid, Spock announced, “Captain, I am now detecting a Fesarius pilot vessel.” He altered the viewer angle to display the small craft, a cluster of pale gold spheroids of various sizes. A beam of light burst from its leading spheroid and struck at one of the raiders. At least someone was trying to defend the Fesarius. Of course, the downside to taking up a stationary position was that it left the Enterprise vulnerable to the raiders’ tractor beams. But the Fesarius crew was not idle. Mining beams shot forth from emitters in the black, textured hull layer underneath the domes, firing through the gaps between them, and prevented the raiders from holding still long enough to get a lock on the Enterprise. Sulu, freed from the need to maneuver the ship, supplemented their efforts with phaser fire. The maneuverable raider ships were able to dodge the mining beams with ease, but they had less practice avoiding Sulu’s keen aim, and several of them were struck. Their own plasma bolts retaliated against the Enterprise, rocking the ship, but the shields held. Sulu’s aim remained true. Rather than wasting energy attempting to blow apart the asteroid chunks, he struck them obliquely, vaporizing a portion and using the vapor pressure as thrust to angle the chunks off course. They struck only glancing blows against the shields and bounced away harmlessly. “Mister Bailey has engaged his tractor beam,” Spock announced. He put the sensor feed on one of the auxiliary wall screens. While keeping an eye on the larger battle, Kirk watched as the lieutenant’s pilot vessel grabbed on to the misaligned hatch with an invisible force beam. The pilot vessel trembled and flickered as it heaved at the enormous hatch. Kirk hoped Bailey’s tractor beam was as potent as the one Balok had used to tow the Enterprise years before. “Incoming,” Sulu warned. The raiders were proving the potency of their own tractor beams, hurling asteroidal debris from multiple directions, and even Sulu and the Fesarius crew together could not target them all. One chunk got through and struck a ringing blow against the deflectors, and the Enterprise heaved mightily. Three raider ships made a last-ditch attempt to dive toward the closing hatch. The crossfire from the Enterprise and the Fesarius forced them to veer off. After another few moments, the tips of the six hull wedges locked against one another, and one last dome unfolded from between its neighbors and locked into place over the center point. With the orbship now sealed up tightly, the raiders abruptly broke off the attack and fled, the more badly damaged ones being tractored by their fellows and towed into warp.